(Bloomberg) -- When Google’s boss sits down with a top U.S. military official on Wednesday, the conversation will likely center on Google’s presence in China -- particularly a lab that may be more trouble for the company than it’s worth. Sundar Pichai, chief executive officer of Alphabet Inc.’s Google, will meet in Washington D.C. with General Joseph Dunford, chairman of the Joint Chiefs of Staff, according to a person familiar with the situation. The internet giant extended the invitation after criticism from Dunford about Google’s artificial intelligence work in China, which he said "indirectly benefits the Chinese military." A spokesman for the Defense Department confirmed that Dunford is scheduled to meet with a senior Google official this week, but declined to provide further details. Representatives from Google didn’t respond to requests for comment. Google will also brief staff of the Homeland Security Committee on Monday about its work in China and with the Pentagon, according to a spokesman for committee chairman Senator Ron Johnson. 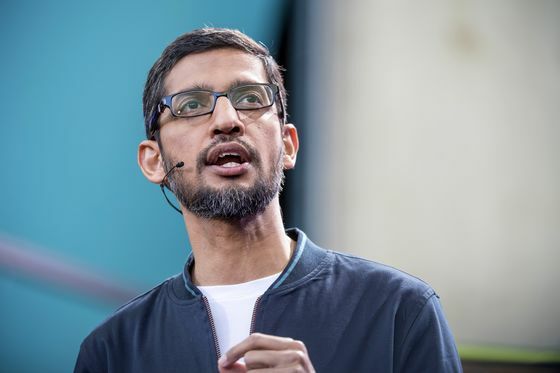 The conflict is a risk to Google’s cloud-computing business, which relies on the company’s AI prowess and is a major source of future revenue growth outside of advertising. Both the Pentagon and China are huge potential buyers of internet-based services, a multibillion-dollar market. Google’s chief rivals in the cloud business, Amazon.com Inc. and Microsoft Corp., have aggressively courted both buyers. But Google hasn’t. In the past year, the Mountain View, California-based company bowed out of an AI contract with the Pentagon while expanding its search for new businesses in China. Those simultaneous moves were met with fevered backlash in Washington. Lawmakers grilled Google about its plans in China, and the Pentagon, concerned about China’s national investment in AI technology, has launched a public campaign to shame the company. A week ago, Google issued a statement saying it "was not working with the Chinese military" after U.S. President Donald Trump criticized the company in a tweet on March 16. Read about China’s plan to dominate AI. Google withdrew its search engine and most other services from China in 2010, citing censorship concerns, but has maintained advertising sales and software-engineering offices there. By the time Google opened its Beijing lab, the company had just sealed a deal that underscored its willingness to work with the U.S. military. In September 2017, Google was awarded portions of a contract for Project Maven, a Pentagon initiative to use image-recognition technology to analyze drone footage, according to a report in Gizmodo. Two months later, Google announced the Beijing AI center. Like many decisions at the company, this was driven by a desire to hire the best coders. Google has spent the past five years signaling to investors and the public that it is the world’s leading AI company, but it needs talented engineers to maintain this lead. 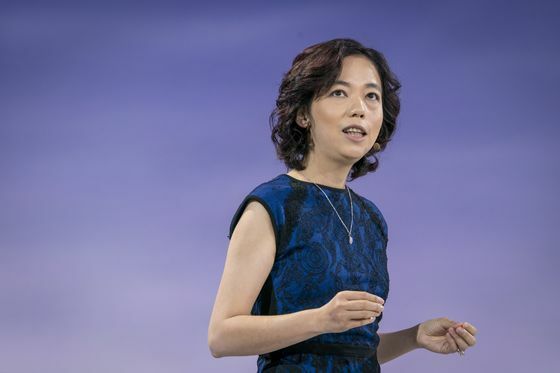 "AI and its benefits have no borders," Fei-Fei Li, the Google executive then running the Beijing lab, wrote in a 2017 blog post announcing the center. "And we want to work with the best AI talent, wherever that talent is, to achieve it." Technicians in AI are particularly rare and expensive, and many of them are in China. Li, a Chinese-born computer scientist, citing a statistic that almost half of the research in scientific journals on AI came from Chinese authors. At the time, Li ran research for Google’s cloud division, and she placed Jia Li, one of her deputies, in charge of the Beijing center. Google has since held talks about starting to sell its cloud services in China, Bloomberg News reported in August. So far, the company has mostly given away technology free. A main focus of Google’s AI lab is supporting TensorFlow, an open-source coding library that lets engineers and companies more easily run AI programs that automate tasks or handle reams of data. For Google, the tool is a critical way to gain the allegiance of software developers, who may end up paying Google for cloud services later. Last year, Amazon and Microsoft announced their own AI labs in China. Unlike Google, those two companies already sell cloud services in China. Amazon has even promoted its government work -- an Amazon Web Services presentation from 2018 lists 33 public sector customers in China. Both Amazon and Microsoft have also pursued cloud deals with the U.S. military, while Google retreated from the Maven contract after employee protests. Some Google engineers even refused to work on an "air gap" security feature last year that would have helped the company compete for sensitive military contracts. 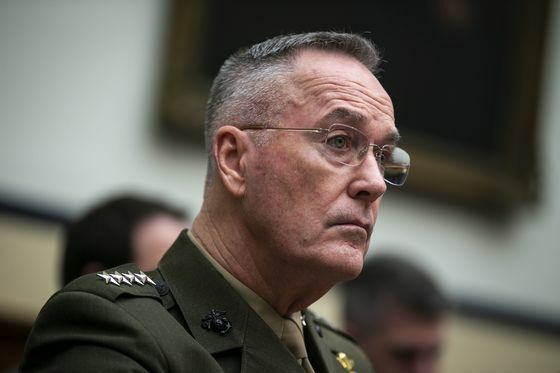 "This is not about me and Google," Dunford said last week at an event hosted by think tank the Atlantic Council. "This is about us looking at the second- and third-order effects of our business ventures in China, Chinese form of government, and the impact it’s going to have on the United States’ ability to maintain a competitive military advantage." A Pentagon spokesman said that Dunford doesn’t have any meetings planned with other technology companies at this time. As for Google’s Beijing lab, its founding managers have left. The website for the lab describes it as working on education initiatives, "user experience," and the development of Tensorflow. Two weeks ago, the website offered another description, according to a version of the page saved by the Internet Archive’s Wayback Machine: "We’re developing a world-class research effort dedicated to creating artificial intelligence solutions to real-world problems."